Cemeteries are a window into the past. Each grave stone documents important information about our communities, the people who once lived in them, the families they belonged to. Headstones themselves are often works of art, expressions of changing cultural beliefs. 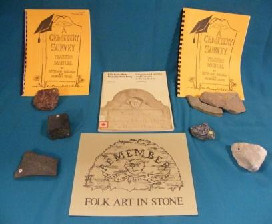 This resource box supports the Grade 5 Social Studies curriculum by teaching students how to learn about the past by using cemeteries as historical records of people, beliefs, and communities. Outcome 1: Students will develop an understanding about the past with a focus on Acadians, African Nova Scotians, Gaels, Mi’kmaq and additional cultures.